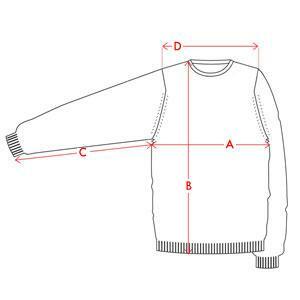 John Smedley Marcus Pullover Crew Neck (+colors) | Portland Dry Goods – Portland Dry Goods Co. This stylish Marcus Pullover Crew Neck from John Smedley is a wardrobe must have, featuring turn back cuffs and the refined finishings John Smedley are renowned for. Forming part of their Icons range, Marcus is crafted from 100% Extra Fine Merino Wool ensuring a fine, soft pullover that exudes quality. Cut to a relaxed, easy fit; this piece would work well layered over a t-shirt and styled with a jacket for a perfect day to evening look. We are creators of the World’s Finest Knitwear. Established in 1784, we are the oldest manufacturing factory in the world, crafting beautiful, high quality garments that are designed to last, made in Britain and distributed the world over. We only use the finest quality materials including John Smedley’s Sea Island cotton, extra fine Merino wool, cashmere and silk. Each garment is carefully created using 1.5km of the finest yarn, 1.2 million stitches, 230 years of experience and the skilled hands of 50 British craftsmen. The John Smedley story began during the infancy of the industrial revolution at our factory in Lea Mills, Derbyshire where you can still find us, over 230 years later. In 1784 our factory started life producing simple muslin fabric and spinning cotton and in 1825 we moved on to producing more complex garments using one of the first ever fully fashioned knitting machines, creating the original “Long Johns”. Moving onto 1914 where we began exporting to the far reaches of the globe and over time established ourselves as one of Britain’s most famous clothing brands. Within the 1950’s and 60’s we became the brand of choice for many famous faces, including Marilyn Monroe, Audrey Hepburn and the Beatles amongst many others and by 1980 we had established ourselves as the go-to knitwear brand for British designers such as Dame Vivienne Westwood and Sir Paul Smith. The year 2000 saw us open our first store on the iconic Brook Street in Mayfair, London and in 2012 we cemented our style credentials by presenting at London Collections: Men, the first ever British Men’s Fashion Week. The following year we were granted the Royal Warrant of Appointment as a “Manufacturer of Fine Knitwear” by Her Majesty Queen Elizabeth II, a testament to our trusted quality. Today we continue to innovate and recent triumphs include the re-launch of our womenswear line at London Fashion Week in 2015, and our contemporary new unisex capsule collection ‘Singular’ being the first ever unisex knitwear collection launched within the UK.